Visiting angels? Are there really angels among us? Have you ever seen angels on earth? What is it like to be touched by an angel? Visiting angels are sent by God to minister to us. They are mostly invisible but they can reveal themselves to us if God permits them. When we yield ourselves to the Holy Spirit, we can begin to see angels through the gift of discerning of spirits or the word of knowledge. In my own life, I have encountered angels while I was fasting and praying. But it took many years for that to happen — at least ten years of being a believer. There were times when God sent angels to give me information about the ministry that I am involved in today. Sometimes these visiting angels appeared in the form of ordinary men and at other times as men in white robes and bright apparel. You never know when God might send an angel visibly into your life. Angels are always coming in and out of your life when you pray, but they are usually invisible. Here we are talking about the rare occasions when they come visibly into the life of a believer. 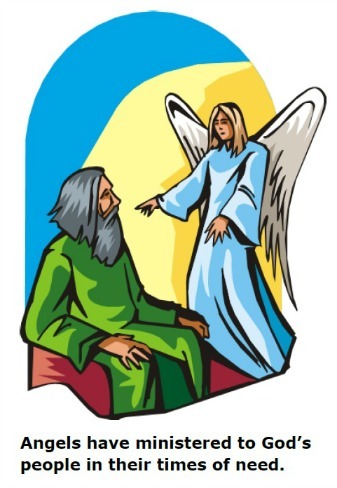 In the year 2005, I had a visitation from an angel who came to talk to me about the anointing of the Holy Spirit. When the angel approached me, he told me that before the rapture there would be an increase of the anointing of the Holy Spirit in the Body of Christ. He then held my hand and, in the twinkling of an eye, we were standing in a huge church auditorium filled with people. The angel told me to stand near the altar, and he left me there and moved towards the people. Whenever he got near the people, I saw cripples walking, people falling down and manifesting demons, and others falling down and getting healed. There was no physical contact between the angel and the people. After this mighty demonstration of the power of God, the angel walked towards me and I felt a rush of power pushing me back a few steps, but I didn’t fall. Then he told me, “This anointing will operate in the ministries of those men and women of God who remain faithful to Jesus before the rapture.” He went on to say that, if I would remain faithful, God would entrust me with this kind of anointing. In the past two years I have noticed that, whenever I fast and pray, God has increased the anointing upon my ministry. At times, even when a person who has a demon stares at me, the demon goes into manifestations. I then command it to come out in the name of Jesus. I am slowly reaching for higher and higher levels of this anointing of the Holy Spirit. I want to move from strength to strength, faith to faith, and anointing to anointing. God impressed upon Pastor Bright Kusinyala to write a book to reveal to people the activities going on in the spirit realm. 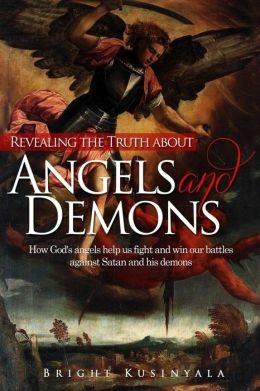 In his book, Revealing the Truth about Angels and Demons, readers begin to appreciate what God and His angels are doing on their behalf, and they also find the evil deeds and plans of Satan laid bare. Readers will also discover how to avail themselves of the help and protection that God and His angels are ever ready to give them, and how to live victoriously by exercising their God-given authority and power over the Enemy. At that time I, Daniel, mourned for three weeks. I ate no choice food; no meat or wine touched my lips; and I used no lotions at all until the three weeks were over. On the twenty-fourth day of the first month, as I was standing on the bank of the great river, the Tigris, I looked up and there before me was a man dressed in linen, with a belt of the finest gold around his waist. Notice it was after fasting and prayer that Daniel moved into the spirit realm and saw the angel. Earlier in the Book of Daniel, there weren’t many revelations; but as he moved deeper into the prophetic office, he started seeing angels. [Jesus] knelt down and prayed, “Father, if you are willing, take this cup from me; yet not my will, but yours be done.” An angel from heaven appeared to him and strengthened him. Not every angel is from God. Some are fallen angels (demons) who disguise themselves as angels of light. The devil knows how to transform himself into an angel because he is an ex-angel and he knows how to shine like an angel too. That is why many people have been deceived into believing that an “angel” appeared to them. Sometimes, they were given demonic messages by these “angels”, and that is how many religions began. Demons appear the same as God’s angels, but their messages are not in line with the Word of God. That is why we should not seek after angelic visitations. We should simply yield ourselves to the Holy Spirit and, if He wills, He can enable us to see God’s angels through the gifts of revelation: namely, the word of knowledge, the word of wisdom and discerning of spirits. At the tender age of twelve, Pastor Bright Kusinyala was called into ministry by the Holy Spirit. When he grew up, God began to use him powerfully in the healing, deliverance and prophetic ministries. Pastor Bright founded Regeneration Ministries International in 2009 and, today, it is one of the fastest growing ministries in Africa. This is due to the signs and wonders God is doing in its midst. During the services, the operation of angels can be seen as Pastor Bright ministers to the oppressed. Revealing the Truth about Angels and Demons is a practical book that shows how Pastor Bright has availed himself of the help given by God’s angels to heal many and deliver them from the devil’s oppression. It also shows readers how they too can do likewise. 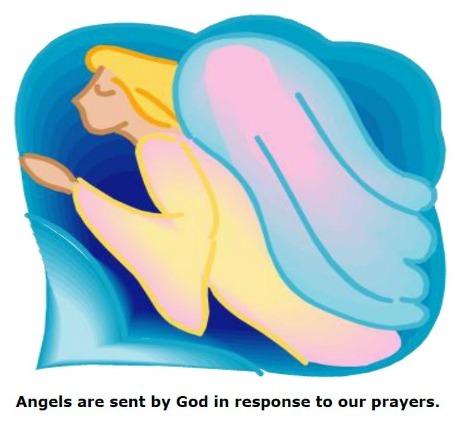 If you have enjoyed the above passages on Visiting Angels and want to learn more about angels on assignment, go to Angel Rescue Missions. Scripture quotations marked (NIV) are taken from the Holy Bible: New International Version ®. Copyright © 1973, 1978, 1984 International Bible Society. Used by permission of Zondervan Bible Publishers. All rights reserved. Scripture quotations marked (NLT) are taken from the Holy Bible, New Living Translation, copyright © 1996. Used by permission of Tyndale House Publishers. All rights reserved.